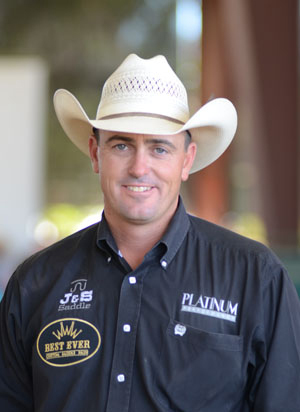 As the final horse-and-rider duo to go down the fence in eight sets of Futurity Open competition, Phillip Ralls and Call Me Mitch dominated the Protect the Harvest/Lucas Oil National Stock Horse Association (NSHA) Futurity Open. The event, held Aug. 19-24 in Paso Robles, Calif., marked the home stretch for 3-year-old horses on their way to Reno, Nev., for the National Reined Cow Horse Association (NRCHA) Snaffle Bit Futurity. Ralls and his mount went into the cow work comfortably with a 433 (217 herd/216 rein). After marking the fourth-highest score down the fence, a 220.5, Call Me Mitch and Ralls’ 653.5 total on three secured the Futurity Open Championship by a two-point margin. 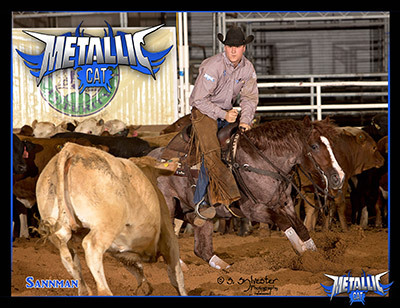 Ralls and Estelle Roitblatt’s stallion son of Metallic Cat earned $18,526 for his win. Futurity Open Reserve Champions and Intermediate Open Champions Justin Wright and CR Stylish Danny Rey accumulated a 651.5 (221 herd/211.5 rein/219 cow) to take home checks totaling $16,273 for owner Eric Freitas. 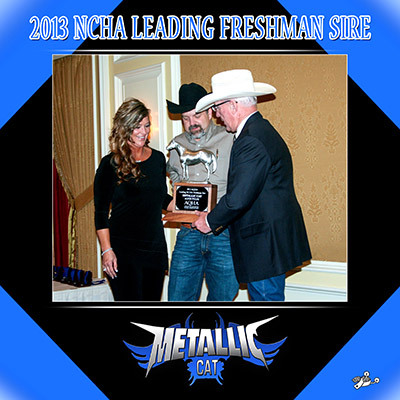 NCHA- The NCHA would like to congratulate the Fults Ranch on the success of their young sire Metallic Cat who, with just one foal crop in the showpen, has surpassed the $1 million sire status. We are proud to have this sire representing NCHA as a corporate partner! 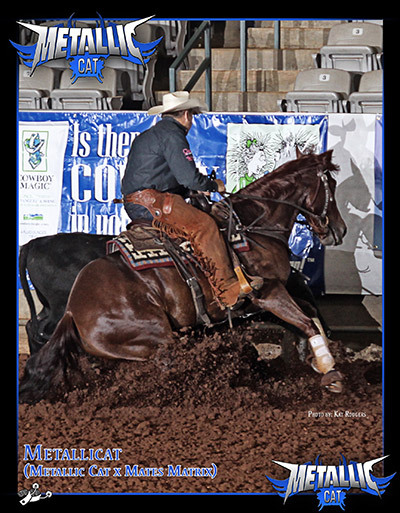 Congratulations – Metallicat ( Metallic Cat x Mates Matrix) and Brad Lund on your 3rd place finish in the Futurity Open at the ECRCHC Futurity. We are so excited watching Metallic Cat’s 2nd foal crop hit the show pen. The Open Derby Finals are complete at the West Texas Futurity and we couldn’t be prouder! Sannman was Co-Reserve Champion, Sweet Metallic was 4th, Magic Metallic finished 6th and Red Metallica ended up 10th. Over all a very good day! Have a great night!